Richard Smyth is one of Australia’s leading landscape photographers with an extensive photographic portfolio spanning many years and a gallery established for 15 years at the Historic Fremantle Markets, Perth Western Australia. In 2011, HM Queen Elizabeth II, the Prime Minister of Australia and other Commonwealth Heads of States were each given a beautifully framed picture of Lucky Bay (Esperance) at sunrise as an official memento for attending the Commonwealth Heads of Government Meeting (CHOGM) in Perth. Even the Pope has one of Richard’s pictures according to a Thank You letter from the Vatican sent to him out of the blue! Prior to that, in 2007, Richard was the Artist-In-Residence at Aspects of Kings Park, Perth with an exhibition entitled “Wild Earth” with landscape scenes from his outback travels throughout Western Australia from the rivers, and waterfalls, outback and marine life in the north to the seascapes, sunsets, and forests in the south. The Kings Park Festival celebrated “Trees of Life” with the launch of a Tree Guide book featuring a selection of 50 significant trees captured on camera by Richard in 2011. Banners of the photographers were displayed prominently in Kings Park’s Special Trees Outdoor Photography Exhibit, chosen for their botanical, cultural and/or historical significance. Self-taught and with an eye for perfection, Richard’s exploits have taken him from the crow’s nest of tuna fishing vessels 120 km south of Australia in the turbulent Southern Ocean to hanging out of Jet Ranger helicopters flying over the breath-taking Kimberley region, to being with pearl divers off Eighty Mile Beach – a Mecca for South Sea pearls. His previous career in commercial property leasing enables him to imagine what would appeal to someone stuck in an office building in the city surrounded by walls. The keys to his success? Research, planning, and plenty of patience! Richard lives in Perth with his wife, two children and two dogs (a Red Cloud Kelpie called Bear and his wife’s pug called Sugar Plum!). Whilst it is easy to see that Richard has an artistic eye, it was his love of travelling to remote areas, watching and tracking wildlife for hours on end that inspired him to become a professional photographer full-time. 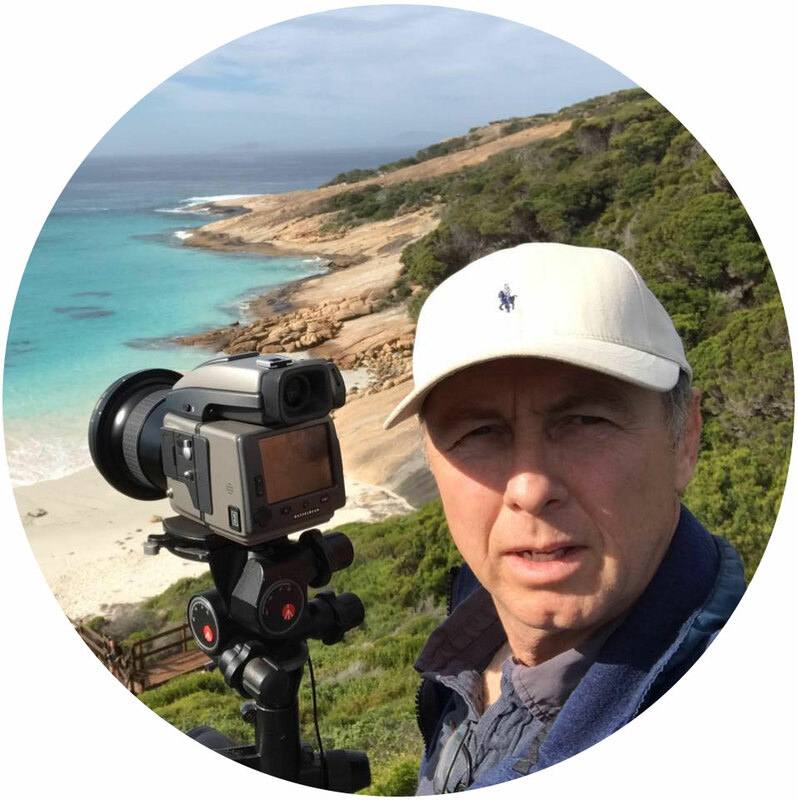 Richard’s meticulous and outstanding work ranges from rivers, waterfalls, cityscapes and beaches to dolphins, whales, wedge-tail eagles, crocodiles and birds. Richard’s exploits have taken him from the crow’s nest of tuna fishing vessels 120 km south of Australia in the turbulent Southern Ocean to hanging out of Jet Ranger helicopters flying over the breath-taking Kimberley region, to being with pearl divers off Eighty Mile Beach – a Mecca for South Sea pearls.